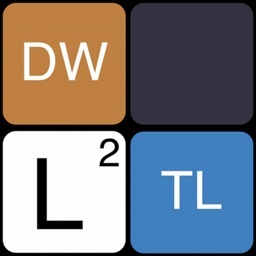 The complete Wordfeud solver is finally here! 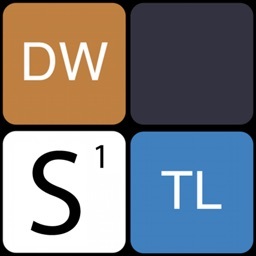 - It will make you a Wordfeud master! This is the british version, using SOWPODS as dictionary. 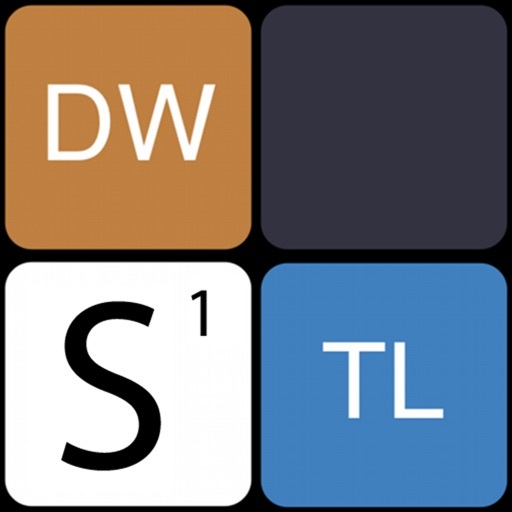 - Accurate rules, including dictionary and score calculation. - Lets you manipulate the board, including multipliers. - Keeps track of multiple games at the same time. 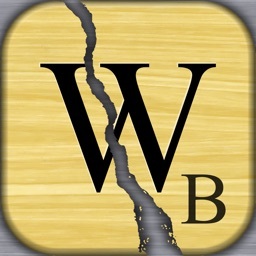 - Import your Wordfeud games, with support for random board! 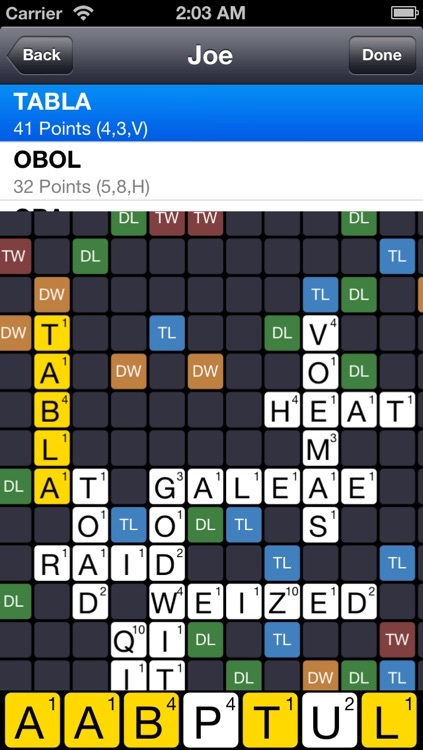 The tiles in your rack and on the board can be changed by dragging letters from the top of the game view. Touch "Suggestions" to get suggestions for words to play. Pick a word and press "Done" to play a word. If you don't want to play a word, press "Back". To erase, drag the tile with the text "erase". To manipulate multipliers, press the plus sign and use the multipliers in the same way as the letters.